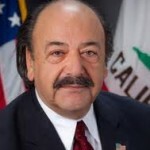 Achadjian received the award because of his nonpartisan spirit, support of local control and close work with special service providers, a CSDA spokesperson said. Achadjian has worked closely with agencies that provide water, fire protection, health care, park maintenance and other services, according to the CSDA. The Central Coast assemblyman represents the 35th District, which includes San Luis Obispo County and Northern Santa Barbara County. He served as a San Luis Obispo County Supervisor prior to becoming elected to the Assembly in 2010. Achadjian accepted the CSDA award Friday night in Avila Beach. He said that as a former county supervisor, he understands that counties’ needs can vary greatly. In 2016, Achadjian will term out of the Assembly. The Republican lawmaker has announced no plans to run for a California Senate seat, and the district in which he resides was recently redrawn to favor Democrats. How can you support CalCoastNews? Seems more logical that the criteria for legislator of the year would have been the legislator who confiscated thee most money from citizens, worked hardest to restrict liberties, and kicked back the most to the money that put them in office. A 4th category could be inventing phony crises for which only larger government can save us. I have to say I’m a little surprised at the near-hate I’m seeing here; this guy is big business friendly, with conservative roots, willing to reach across the aisle to get the job done and gets almost nothing but grief here, mostly from those who seem to be conservative. What is your problem? Would you rather have a hard-line politico who is completely ridged in his approach so that we always have partisan gridlock? Do you all want the wheels of government so mucked up nothing ever happens? Part of the function of government is to function, to get things done. While I do not agree with most of Katcho’s political philosophy and his deep connections to big business and especially big oil, I do respect that he can bend somewhat in order to get a few things accomplished. Again, I am somewhat surprised at the venom being directed at him here; he isn’t that bad, certainly not in the same league of sell-out as Abel. Just imagine he could possibly be replaced by an Adam Hill. I think Katcho was a great supervisor. And I think he is a fine, if lackluster, assemblyman. As a democrat pretending to be a republican, it must hurt to be straddling a sharp picket fence. Another one I don’t trust any further than I could throw him. So glad he is being termed out. Not surprising. Not too long ago Arroyo Grande Mayor Tony Ferrara was elected League of California Cities President. Politics lacks any sort of morality. Anyone remember Obama getting the Nobel Peace Prize before he even took office? I am always suspect at “awards” and recognitions. “No news is good news.” What a joke. This do-nothing smiley-faced guy is the legislator of the year? Says a lot about diminished expectations. You might want to re-read with greater attention. The award was from an organization representing Special Districts and was for his work on the behalf of their interests. While I don’t agree with everything Katcho does, he does do some good things and this is one of them. All you militant partisans (on both sides) who lambast anyone who doesn’t agree with you on pretty much everything are the ones responsible for dis-functional government. If you have a specific criticism of some legislator on actions or policies, bring it on when appropriate. But you will not get as much respect for your points of view if you only whine that they aren’t completely in line with your ideals. Wow! All I said was he’s a do-nothing, and about that fact there’s little dispute. Your response suggests you are the one with the whiny approach to those who don’t agree with your ideals. PS. Usually one gets honors like “legislator of the year” because of actually doing things.